KATHMANDU, Mar 30:The Trekking Agencies’ Association of Nepal (TAAN) is conducting the 3rd TAAN International Langtang Marathon on April 25, 2018. The marathon is being conducted with an aim to promote Nepal as an international destination for adventure and sports tourism. The marathon was started in 2016, to disseminate the message that the Langtang region is safe to visit after the earthquake of 2015. The Trekking Agencies’Association of Nepal (TAAN) is making preparations for the 3rd TAAN International Langtang Marathon to be held on April 25, 2018. 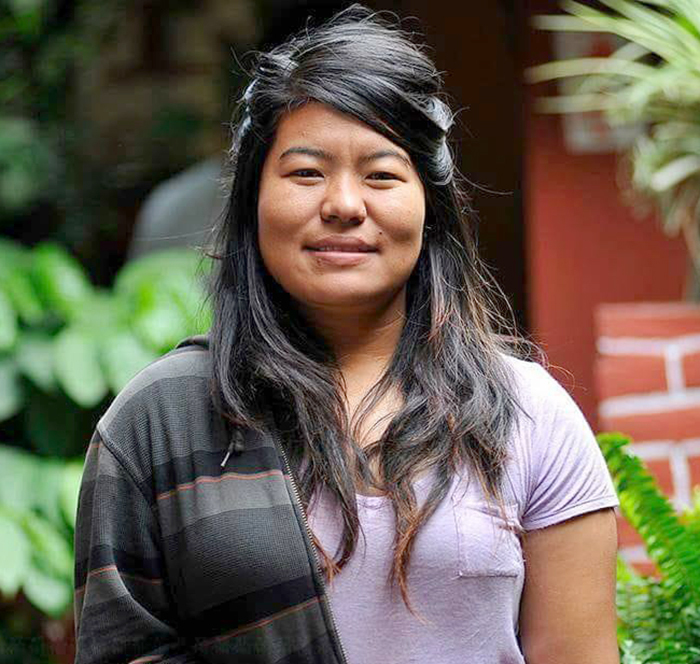 Ritu Gyamdan, the coordinator of the Sports and Events Management Department of TAAN, said that the event was started after the devastating earthquake of 2015 to disseminate the news of the Langtang region as rehabilitated and safe for tourism. Intense preparations are taking place to make the Langtang marathon a huge success. The marathon was scheduled in the organization’s year plan by the previous work committee which was replaced six months ago. As such, TAAN has been forced to work at a limited notice of one month while the ideal preparations would take six months’ time, said Coordinator Ritu Gyamdan. Gyamdan said that around 100-150 participants are expected in the marathon, of which most will be Nepali citizens. The organizing committee has been engaged in a variety of promotion efforts for the marathon led by TAAN Media Coordinator Gopal Shrestha. These include an official website and social media page for the marathon. TAAN is also conducting an official press meet to promote the details of the marathon. 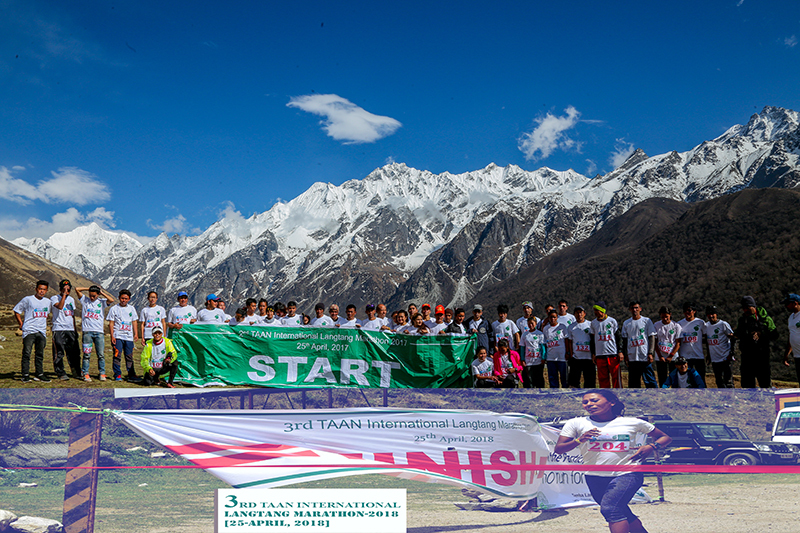 Additionally, to attract foreign tourists, it has sent an official notice to all TAAN member companies to inform interested customers about the Langtang marathon. The total required for the budget has been estimated to be around 2 million rupees, which covers necessary security expenses like medical teams and life insurance for the full-scale marathon. The Nepal Tourism Board has committed to provide financial support for the event on request from its previous work committee. It is also seeking support and sponsorship from local trekking , hotel entrepreneurs of Rasuwa, its village municipalities, hydropower companies , Rasuwa Nuwakot Paryatan samaj and other private companies. Member Secretary of the Nepal Sports Council, Keshab Bista, who was also the event’s chief guest last year, has also expressed interest in supporting the event, said Ritu Gyamdan. Although TAAN’s previous work committee had requested support for this year’s marathon, the Sports Council did not include official financial support for the event in its budget for this year. Gyamdan said that help might still be forthcoming from the Council. Gyamdan has also quoted the lack of sufficient preparation time as the reason for not being able to coordinate with the national sports associations for the Langtang marathon. She added that the next Langtang marathon will be conducted with good advance preparation and will also have a well-detailed plan to promote the event internationally to attract more foreign tourists. The winners of the International Langtang Marathon will be awarded Rs. 50,000 for first position, Rs. 30,000 for second position, and Rs. 20,000 for the third position, in both the men and women’s category. The deadline for registration to the event is on April 15, 2018.